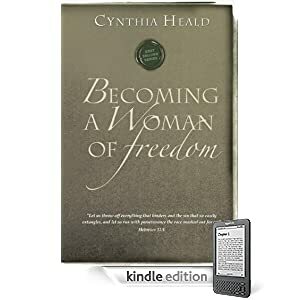 Amazon is offering a FREE download of Becoming a Woman of Freedom by Cynthia Heald. I have heard she is a wonderful author and can’t wait to find some time to read this book! RUN THE RACE WITH FREEDOM. The Christian life is supposed to be like a race-a race we run freely, unhindered by the burdens of this life. But often, the baggage we carry holds us back. It deprives us of our freedom in Christ and makes the race seem strenuous and futile. No matter what your age, circumstance, or spiritual maturity, Cynthia Heald will help you identify and lay aside the burdens that can make you feel "stuck," including past hurt and loss, poor self-image, approval-seeking, busyness, doubt and fear, and unhealthy influences. This ebook is specifically designed for Kindles but there is a free program called Kindle for PC that allows you to read Kindle ebooks on your computer!